Tirunelveli, fondly called as Nellai in the local language of Tamil is one of the most enchanting districts in the southern state of Tamil Nadu. Tirunelveli is regarded as one of the oldest territorial dominions in the state as the region has a rich historical background which goes back to over 2000 years. Tirunelveli is a place that is widely recognized for its historic religious sites that it attracts visitors from all over the globe, regardless of times of year. Lying along the banks of the notable Thamirabarani River, Tirunelveli was once the headquarters of the Pandyas (one among the three illustrious ancient Tamil dynasties, the other two being the Cheras and Cholas). Almost every temple in the district of Tirunelveli has references to Pandya dynasty in the form of antique inscriptions that is even preserved today. The history book of Tirunelveli has many chapters that extensively talk about the significant political part it played during the Pandya reign. Not just that, Tirunelveli has given great contributions in ethnical and political trend during the sovereignty of the Vijayanagar Empire and the Chola dynasty as well. Subsequently, Tirunelveli was taken over by the Nawab of Arcot before the British took control of the region. 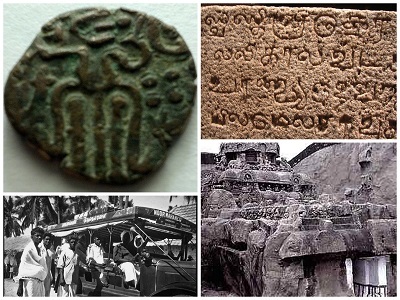 Let's get to know more about the history of Tirunelveli in detail. Bishop Robert Caldwell, a renowned linguist, preacher of the Christian gospel and the Bishop of Tirunelveli during the year 1877 did an extensive research on the history of Tirunelveli. He went on to study the Sangam literature (2,381 verse forms composed by 473 Tamil poets) and a lot of palm leaf manuscripts to understand the original history of Tiruneveli. At the final stage of his research, Robert Caldwell came up with numerous excavations, bringing out the cornerstones of age-old constructions, fish emblem printed coins and funereal urns of the Pandyan dynasty. During the year 1881, Robert Caldwell puts out the results of his research about the history of Tirunelveli in a book called as 'A Political and General History of the District of Tinnevely', published by the Presidency of Fort St. George ( Madras Presidency). The contributions of Robert Caldwell in unveiling the original history of Tirunelveli are commendable that a memorial sculpture of Caldwell was set up in the Marina Beach in Chennai as a present of the Church of South India during the year 1967. The Tamil Nadu state government has introduced a postage stamp in his honor as well. The region of Tirunelveli was under the reign of Pandya kings and the place even served as a secondary capital of Pandyan Dynasty. A lot of evidences exist even today for the fact that the Pandya dynasty in Tirunelveli goes back to many centuries prior to the Common Era. Tirunelveli falls into the hands of Gangaikonda Chola of Chola dynasty in 1064 CE and continued till the early 13th century. Again, the region went under the supremacy of second Pandyan empire under the leadership of mighty Maravarman Kulasekara Pandyan I. After the demise of the Kulasekara Pandyan, Tirunelveli was invaded by Marava chieftains and Vijayangara rulers during the 16th century. Tirunelveli was the subordinate headquarters of the Madurai Nayaks under Viswanatha Nayaka (first king of Madurai nayak kingdom). Madurai nayak sovereignty stopped during the year 1736, and the area was conquered by Chanda Sahib. In 1743, Tirunelveli came under the reign of the Nawabs of the Carnatic. Tirunelveli was made an important commercial hub during the Madurai nayak and Nawab of Carnatic era. The region was popularly identified as Nellai Cheemai (cheemai meaning - developed foreign town). After the Polygar Wars which witnessed the unfortunate defeat of Veerapandiya Kattabomman (dauntless 18th century polygar), Tirunelveli was acquired from the Nawabs of the Carnatic by the British and the Britishers named it as Tinnevelly. Under the British, Tirunelveli district comprised of the present-day Tirunelveli and Thoothukudi territorial dominions and a few divisions of Ramanathapuram district and Virudhunagar district of Tamil Nadu. During the year 1910, Ramanathapuram district was made from parts of the Madurai and Tirunelveli territories, which incorporated a few parts of the present-day Virudhunagar District. Following the Indian Independence, the district of Tirunelveli was divided (20th October 1986) into Tuticorin (Chidambaram district) and Tirunelveli (Nellai-Kattabomman district). Later on, the Tamil Nadu state government took the stand to rename the district as Tirunelveli district with Tirunelveli city made as the official headquarters. Today, Tirunelveli, fondly called as Nellai Mavattam is regarded as one of the important districts in the southern state of Tamil Nadu. Presently, Tirunelveli district is divided into various revenue and administrative divisions for the purpose of more effective governance. Some of the important divisions of Tirunelveli district include Municipal Corporation, municipalities, town panchayats, village panchayats, revenue villages, firkas and so on. With cotton, cement, tourism, paper and other major industries in its administrative limits, Tirunelveli district is a significant contributor to the state's economic system as well. A proud nellai native person eventhough brought up fully in Kolkata.